Warts are common skin growths caused by a viral infection in the top layer of the skin. Most people develop an immune response to warts that helps them go away on their own over time, but this could take months or years. Though they’re rarely painful or harmful, warts can be unsightly, and many patients opt to have them removed rather than wait for them to disappear. Though there are countless treatments available for warts, no treatment boasts a 100% success rate. The good news is that the treatments that Dr. Joel Schlessinger offers at Skin Specialists of Omaha produce a 50-75% success rate. Though there’s always a chance that the wart could appear again in the same spot, the odds are good that you’ll remain wart-free. The following are a few effective treatments for warts. Dr. Joel Schlessinger discusses in-office treatment options for warts. Dr. Schlessinger often opts for a topical method to treat warts on his patients. During treatment, the diluted substance, dinitrochlorobenzene, or DNCB, is applied to the wart. The substance then causes an immune response that wards off the wart-causing virus. Like all wart removal procedures, DNCB treatment require patience and persistence. A short series of physician-administered DNCB will often significantly improve warts. However, depending on the size and thickness of the wart, several treatments may be needed. With DNCB, diligent at-home care is also recommended. Laser removal utilizes an intense beam of light to destroy the wart tissue. First, the wart virus is destroyed by the laser energy, then the laser energy helps to eliminate the blood supply that helps to nourish the wart and prevent it from going away. This treatment is usually only used for large or widespread warts, and it generally requires local or general anesthetic, as well as a series of up to four treatments spaced by a number of weeks. With this method, symptoms of redness and swelling may persist for one to two weeks, and there is an increased risk of post-procedure scarring and disfigurement. There is also the potential to spread the wart virus via air. Dr. Schlessinger avoids laser removal for these reasons, and also because it does not offer additional benefits when compared with safer methods. Cryotherapy involves using liquid nitrogen, or extreme cold, to quickly freeze the wart off. Within one to four treatments with up to three weeks between sessions, the wart is usually gone. A numbing local anesthetic is usually applied, and this helps to eliminate any pain and discomfort. 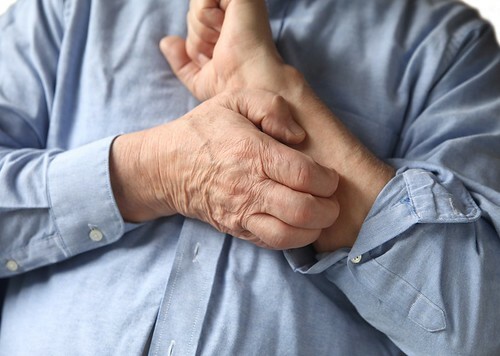 Mild pain may last up to three days after treatment, and the affected area is usually healed within one to two weeks’ time. There is a low risk of scarring with cryotherapy. Electrosurgery Electrosurgery uses heat from electricity to remove the wart. During treatment, an instrument is heated with electricity and then placed on the area without electricity entering the body. One 20-30 minute treatment resulting in a small wound is usually all that is required. Practicing proper at-home care for the wound is crucial to quick, successful recovery. A chemical peel may be applied over a series of treatments to gradually reduce warts until they disappear altogether. These peels often contain strong concentrations of effective exfoliating ingredients such as glycolic acid, tretinoin or salicylic acid, and they are mainly recommended for the treatment of flat warts. The exfoliating substance is applied at home to the warts daily, and then peeled off to gradually remove abnormal skin cells and encourage new, healthy cell regeneration. Taking spirulina as an oral supplement could help heal warts, says Dr. Joel Schlessinger. Spirulina is a blue-green algae packed with vitamins and minerals. It is known for its ability to strengthen the immune system and improve skin and nails. Dr. Schlessinger recommends taking spirulina in oral supplement form to help expedite the natural repair process for warts and to complement your wart removal procedure. In addition to addressing warts, spirulina offers antioxidant protection against free radical damage and signs of aging, as well as acne-healing benefits. Since some wart removal treatments carry a risk for scarring, you’ll need to choose aftercare products that will help your skin repair quickly and safely. LovelySkin.com carries a wide range of products for scarring and healing that are personally selected and recommended by Dr. Joel Schlessinger. Avene Cicalfate Restorative Skin Cream’s powerful formula reduces the risk of infection and helps create an optimal environment for healing. Perfect for sensitive skin, this cream contains thermal spring water to gently and effectively treat recovering areas. Be wary of home remedies when treating warts, Dr. Joel Schlessinger warns. You’ve probably noticed many over-the-counter salicylic acid treatments for warts while browsing the aisles of your local drugstore. Often featured in acne care products, salicylic acid is a beta hydroxy acid that helps to gently exfoliate skin and eliminate impurities. In the case of warts, it helps to soften and dissolve abnormal skin cells. Over-the-counter wart removal kits are easy to obtain and easy to use, but like all wart treatments, they are only sometimes successful. To avoid spreading or reinfecting yourself with the virus, do not reuse washcloths, bandages or other materials that have come into contact with the wart during treatment. Dr. Schlessinger recommends seeking the opinion of an expert before taking matters into your own hands with over-the counter treatments. In rare cases, salicylic acid may leave the wart enlarged and inflamed. In addition to salicylic acid-based treatments, you may find over-the-counter freezing kits for warts. Dr. Schlessinger does not recommend over-the-counter freezing methods, since what might appear to be a wart at first glance could be a mole, skin tag or other growth. It’s always best to be sure that you aren’t attempting to treat a more serious problem. Avoid purchasing unproven remedies or “miracle” products over the Internet internet to treat warts. These are never FDA-approved and could worsen the wart and irritate healthy surrounding skin. Similarly, do not use home remedies or natural recipes you might find on sites like Pinterest. Even common household ingredients and certain essential oils could prove irritating to skin, and these homemade potions could do more harm than good in the long run. Some over-the-counter products promise to freeze warts using dimethyl ether and propane, but it’s always best to seek professional care to maximize effectiveness and minimize the risk of scarring. Dr. Joel Schlessinger provides helpful tips for preventing warts. Though preventing contact with all wart-causing viruses can seem as impossible as avoiding germs altogether, there are several things you can do to lessen your chances of developing them. Always wear shoes in moist public places like showers and pools. Don’t share towels, clothing or shoes with others, especially if you know they have warts. If you visit the nail salon for manicures, consider bringing your own set of nails tools so that you avoid cross-contamination. Be sure that your nail technician wears gloves and takes proper sanitary measures between clients. Have any skin abnormalities that could potentially be unknown warts checked out and treated if necessary. Check your children for warts often, particularly on their hands and feet. 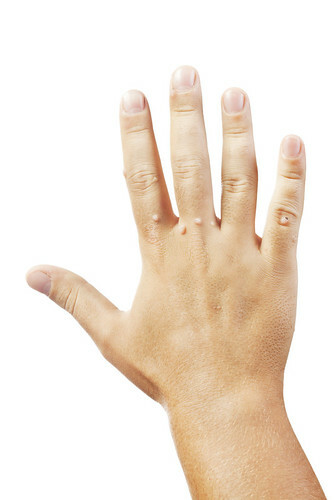 Like most contagious viruses and infections, warts are extremely common in school-age children due to close contact and the sharing of communal items. Avoid bathing children together to prevent spreading warts between them, and make regular hand-washing a family habit. Do you have a question for Dr. Joel Schlessinger about warts? Let us know in the comments section. People often expect brand new clothing to be clean when they bring it home from the store. But are the clothes clean enough that you don’t need to wash them before wearing? A recent article from The Wall Street Journal titled “Do You Need to Wash New Clothes Before Wearing Them?” might change your mind. Dermatologists like Dr. Joel Schlessinger suggest washing garments to remove common allergens. Clothing can often be made of materials that are woven, dyed and stitched together in three different countries. Each country has different laws about chemical use, leaving your skin to suffer. The two main allergens often found in clothing are dye and formaldehyde resin. Synthetic fabrics require the use of azo-aniline dyes, which can cause a severe skin reaction similar to poison ivy. Dyes can also cause skin to become dry, itchy or slightly inflamed. Urea formaldehyde resin is used to prevent mildew and wrinkling in cotton-polyester blends. Fabrics with this chemical can cause eczema, rashes and irritation. Clothing can also harbor germs from people who’ve tried it on in the store, Dr. Joel Schlessinger explains. You have no way of knowing how many people have touched or tried on a piece of clothing before you buy it. Dermatologists have seen cases of lice and scabies that were transmitted from trying on garments in the store. Although lice can’t survive very long without a human host, experts say they attach better to natural fibers than synthetics. Dr. Joel Schlessinger recommends washing new clothing before wearing to help prevent skin irritation. Because you never know what has come into contact with your clothing, it’s always a good idea to wash garments before wearing. Dermatologists suggest running all new fabrics through one wash cycle with a double rinse, even if you don’t use any soap. This will help keep allergens, germs or worse from wreaking havoc on your skin. According to the American Academy of Dermatology, more than half of Americans ages 14 to 49 carry the virus that causes cold sores. In this blog entry, Dr. Schlessinger shares an article from HealthDay.com called “Many Americans Under 50 Living With Cold Sore Virus,” as well as helpful treatment advice. Dr. Joel Schlessinger explains cold sores. Cold sores, also known as fever blisters, appear as small, fluid-filled blisters on and around the mouth. Tingling, itching or burning typically occurs in the general area a sore will form before a hard, painful blister appears. Usually grouped together in clusters, these blisters may break and form a crust and subsequent sore. Cold sores are caused by the herpes simplex virus, a highly contagious virus that, once contracted, remains in the body even when there are no active or visible sores present. While symptoms that arise from the herpes simplex virus are treatable, there is currently no cure. The herpes virus is transmitted between individuals through close contact, such as kissing and sharing drinking glasses and food utensils. Cold sores remain contagious at every stage, so the virus may also be spread through contact with hands that have recently touched a weeping sore. Sores may appear just once in an individual’s lifetime when they initially come into contact with the virus, or they may be reoccurring. An initial cold sore outbreak may be accompanied by flu-like symptoms such as headache, joint pain, body aches, swollen lymph nodes and fever. These symptoms should not occur again during subsequent reoccurrences. Factors known to trigger cold sores include illnesses such as the common cold or the flu, hormonal fluctuations, stress and fatigue, prolonged sun exposure and trauma to the skin from things like shaving, dental work or surgery. Address cold sores when initial tingling occurs, says Dr. Joel Schlessinger. Fortunately, most cold sores go away on their own without scarring. However, healing could take anywhere from a few days to a few weeks, depending on an individual’s immune system and the severity of the sore. There are a few things you can do to make the healing process go more smoothly. As with any illness or condition, addressing the issue early on it the best way to ensure a less painful cold sore and a quicker recovery. Dr. Schlessinger and other dermatologists recommend applying an over-the-counter antiviral cream or ointment like Abreva at the first sign of tingling, before a cold sore has even appeared. Abreva is FDA-approved to shorten healing time to as little as two and a half days and block the virus that causes cold sores, protecting healthy cells. Ibuprofen can help with any pain you might experience, and applying a cool, wet towel to the sore for up to 10 minutes at a time can help soothe the area. The American Academy of Dermatology suggests avoiding highly acidic foods such as fruit juices and tomatoes to keep from irritating or exacerbating sores. Avoid spreading cold sores by abstaining from kissing and all other intimate contact, and by not sharing towels, food utensils, toothbrushes and drinking glasses. If you find yourself suffering from frequent and/or severe cold sores, it’s time to see a doctor. There are several prescription antiviral medications available that can help alleviate pain and expedite healing time. One of the most commonly prescribed medications for cold sores is Valtrex, an oral medication that helps fight the virus responsible for cold sores, as well as the virus that causes chicken pox in children and shingles in adults. Valtrex works best at the first sign of an outbreak, and it may also be taken regularly or semi-regularly for prevention even when no cold sores are present. Taking anti-viral medication for prevention purposes is called a prophylactic treatment regimen, and your physician should be able to recommend a course of medication that is best suited for your unique needs. Do you have a question for Dr. Schlessinger about cold sores? Let us know in the comments below. Medical research shows that there is a direct link between common chemicals found in nail products and the risk of serious disease. In this blog entry, Dr. Schlessinger weighs in on a recent article in The New York Times titled, “Perfect Nails, Poisoned Workers,” and shares important nail salon safety tips. Dr. Joel Schlessinger lists common nail product chemicals that are linked to health risks. Stories of illness and tragedy have grown all too common in nail salons across the country. A cumulative and expanding body of medical research shows a direct correlation between cancer, abnormal fetal development, miscarriages and other reproductive issues. In addition, many manicurists report respiratory problems accompanied by asthma-and/or allergy-like symptoms, chronic nose bleeds and sore throats. Chemicals that allow nail polishes and other beauty products to be chip-resistant, quick-drying and brightly colored are to blame. Dibutyl phthalate, or DBP, an ingredient that allows polishes to be pliable, is known to cause fetal harm. Toluene is a type of solvent that helps polish to glide on smoothly, but it can also cause cognitive impairment and affect healthy kidney function. Formaldehyde, a hardening agent in nail glues, is a known human carcinogen. Dr. Joel Schlessinger shares tips for keeping yourself safe from harmful fumes. Proper ventilation is crucial, both in and outside the nail salon. “[Nail salon] fumes can cause many unintended consequences for individuals, both in the industry or in their own homes. For this reason, I recommend putting on nail polish in an open and safe area where other individuals are not present to breathe in the fumes. This includes, in particular, closed spaces such as airplanes, small rooms and cars,” says Dr. Schlessinger. Always choose a clean, reputable salon, and one that has sufficient air circulation. Even if you do not visit often, you and others are still at risk for harmful exposure. Zoya nail polishes, recommended by Dr. Joel Schlessinger, are free of harmful chemicals. For a purer polish, try Zoya. The DBP-, toluene- and formaldehyde-free line of polishes are long-lasting and come in a variety of colors and finishes.